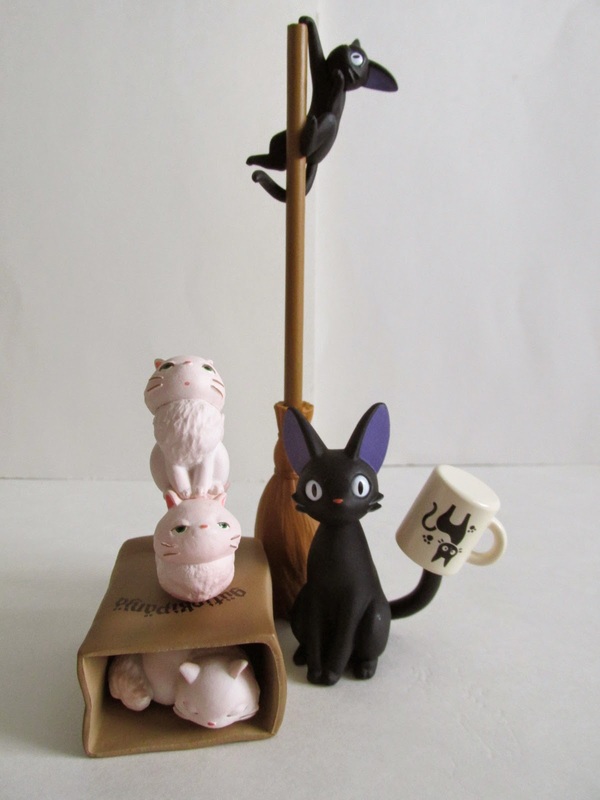 If you like stacking or just can't get enough Studio Ghibli, then this Tsumu Tsumu themed to Kiki's Delivery Service is just for you. If you don't know, tsumu tsumu is the art of stacking usually with rocks, but now this has encompassed all kinds of things to stack with. 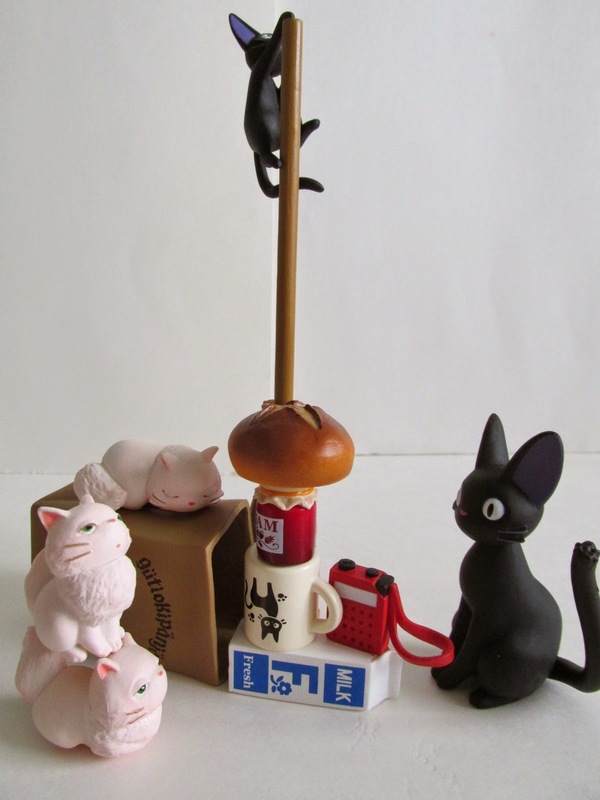 In this case, Ensky has used props and characters from Kiki's Delivery Service for you to stack. If you know the movie well, then you will be delighted to see most of these props recreated in three dimensions. 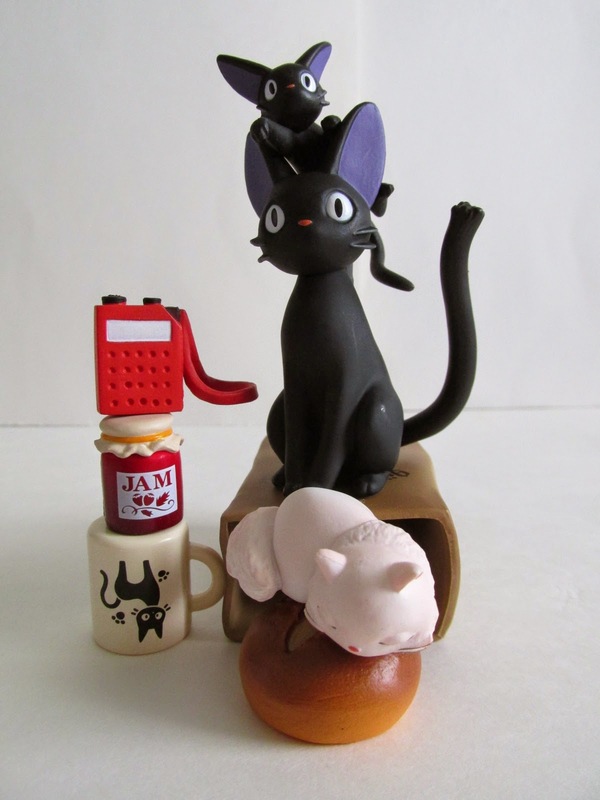 It comes with JiJi, one black kitten, one white sleeping kitten, one white natural pose kitten, one sitting up right kitten, Kiki's broom, Kiki's radio, grocery bag, jar of jam, kitten mug, carton of milk, baguette, and a round piece of bread. All of these props are recreated beautifully and again if you are a fan of the film then you will immediately recognize each and everyone of these pieces. You can create an endless variety of stacks and set ups. It's really up to your imagination and there is no right way to stack. These don't have any adhesive and works somewhat like Jenga. It will take some skill and patience, but the end results are quite fun and will definitely draw attention to your collection. 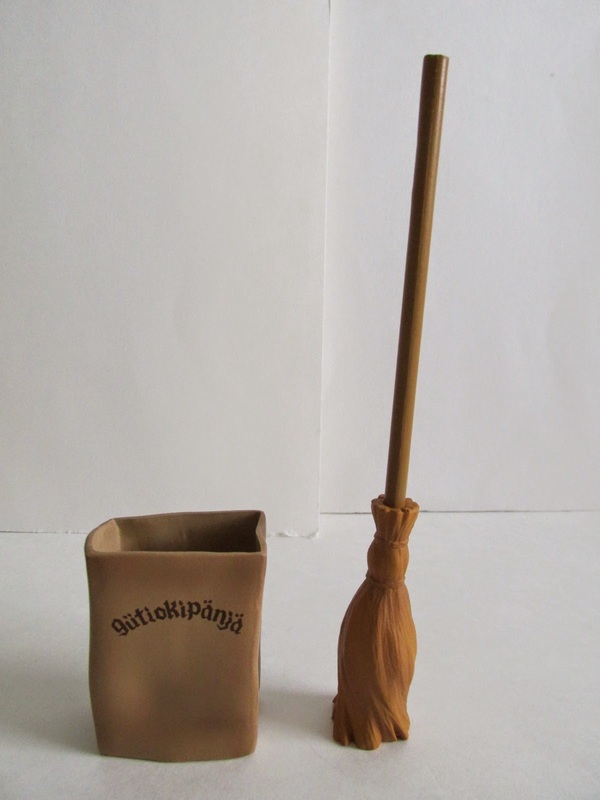 Are you up to the challenge of creating an epic tsumu tsumu with Kiki's Delivery Service?